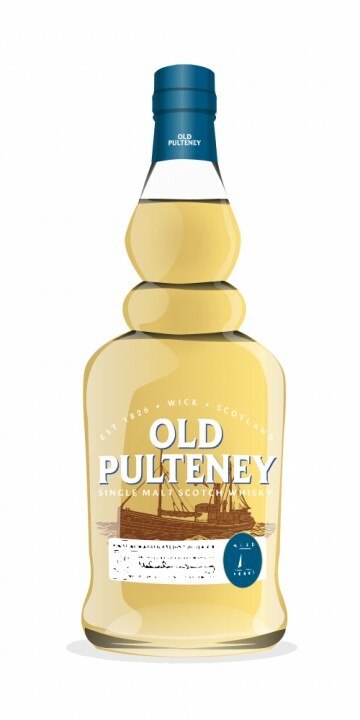 Until recently this Old Pulteney was the oldest in the range. On 1 November 2012 the beautifully packaged (but sadly un-tasted as yet) 40 Year Old was launched. That one will cost you around 2.000 EUR, while this 30 Year Old can be had for around 300 EUR. Anyway, price matters not with the taste in mind, so let us get busy. A previous release was bottled at 44% ABV, but I have to make do with a version at 40,5% ABV. Ah, this is the tropical variant from Wick. The nose bursts with fruit. The typical orchard fruit are accompanied by pineapple, mango, mandarin and banana. Some fresh mint, sweet malt and soft honey. A soft sea breeze reminds you that this is Scotland and not a beach in the Caribbean. This continues on the palate. Caresses the tongue with sweet, tropical fruit, hand in hand with cinnamon and some saffron. Orange peel, even some kiwi. The oak is starting to put its foot down and takes care of a bitter touch. What a beautiful balance! In the long finish, it does it again: put you back on the Scottish coast with a good dollop of brine. Wicked! This is the best I have tasted from Old Pulteney so far.